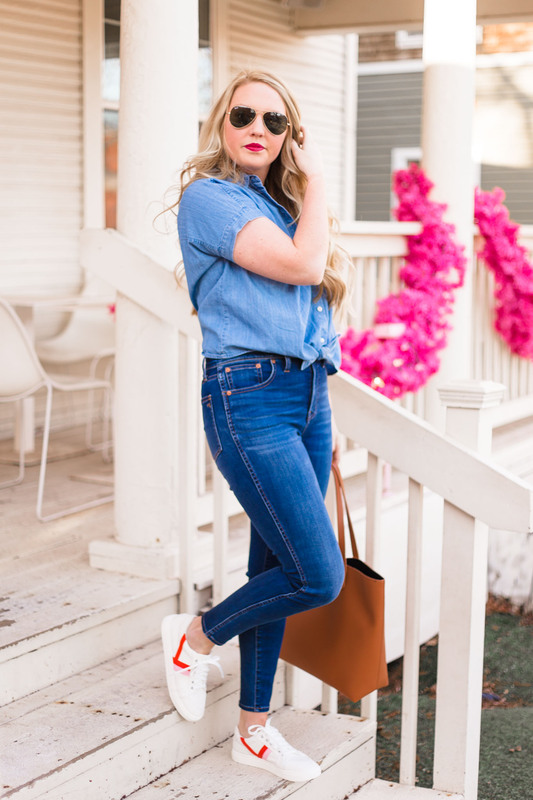 One of my first posts was about Denim on Denim, and I believe it is still one of the most iconic and simple outfits to throw together that will travel through every decade. 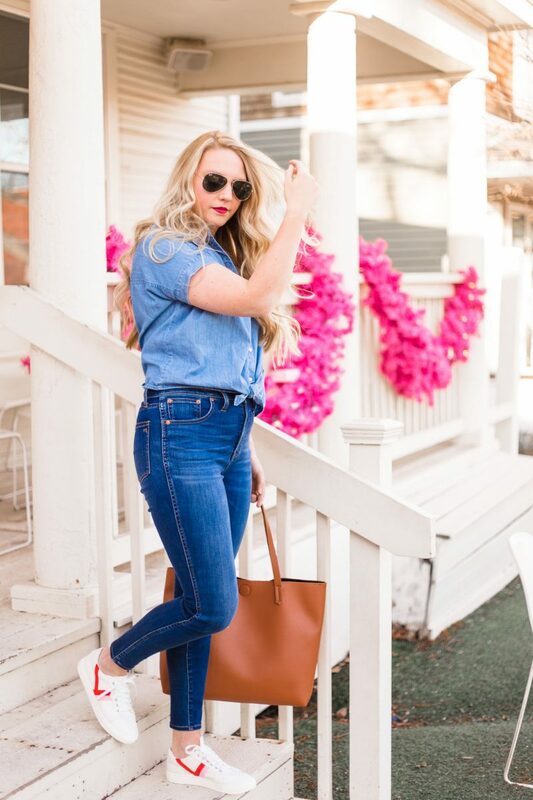 I know that putting a denim on denim outfit can be hard, that is why I am sharing todays post with you on How to Wear Denim on Denim! 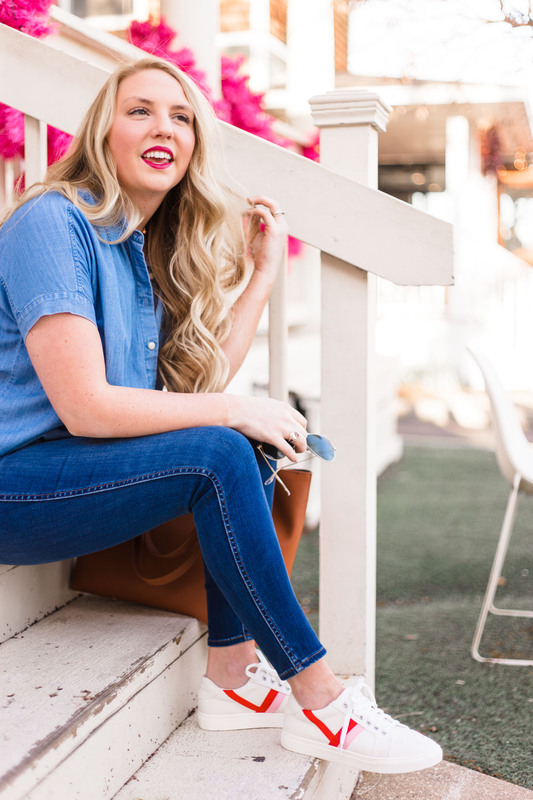 Always wear different colors/washes of denim: You don’t want to look like a blob of denim. Make sure to wear different washes when pairing your denim, you want to see a differentiation between the too articles of clothing! 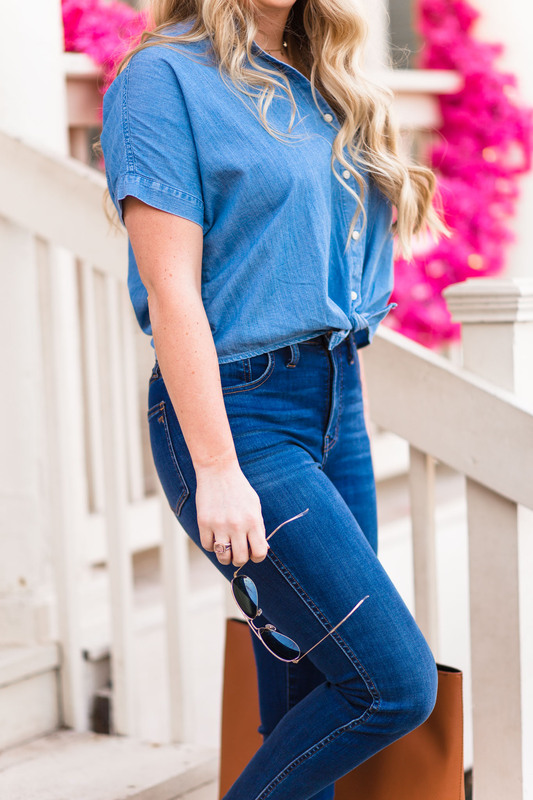 Keep the lighter wash on top: This might just be a personal preference for me, however anytime I have ever seen someone successfully execute denim on denim, their top is always a lighter wash then their bottoms! Pair with fun accessories: When I think of a Denim on Denim, it is almost like a blank canvas! You can allow your accessories to be the center of attention and to break up the denim on denim. I often wear a belt, but because of the front tie on this shirt, I couldn’t! However, a belt is a great accessory to break up the denim and an option to add something fun! 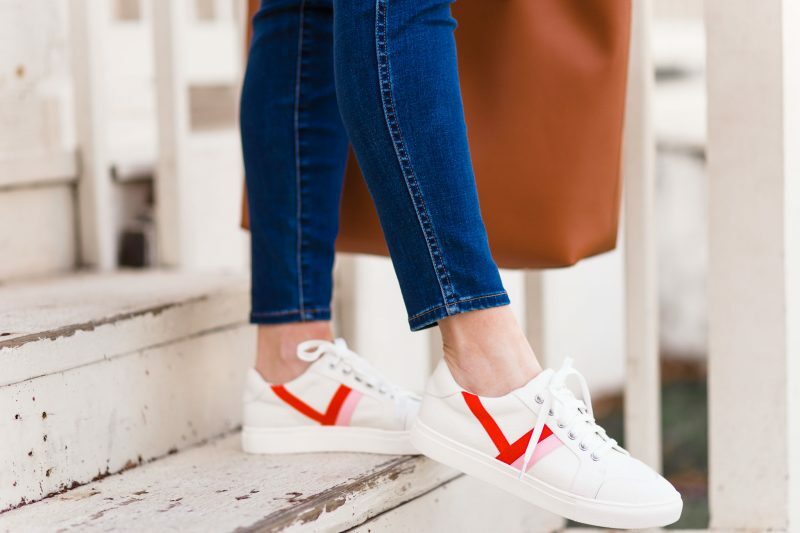 Dress it up or down: My personal preference is to always pair everything with sneakers, like this pair here– they are only $45 and will be perfect for spring! I am always on the go, and feel like I am running a million errands so a casual outfit is always my go to. However, when it comes to dinner or drinks with my Husband or a night out with friends, this outfit would be perfect with a pair of heels and a clutch! I paired it with fun heels here. 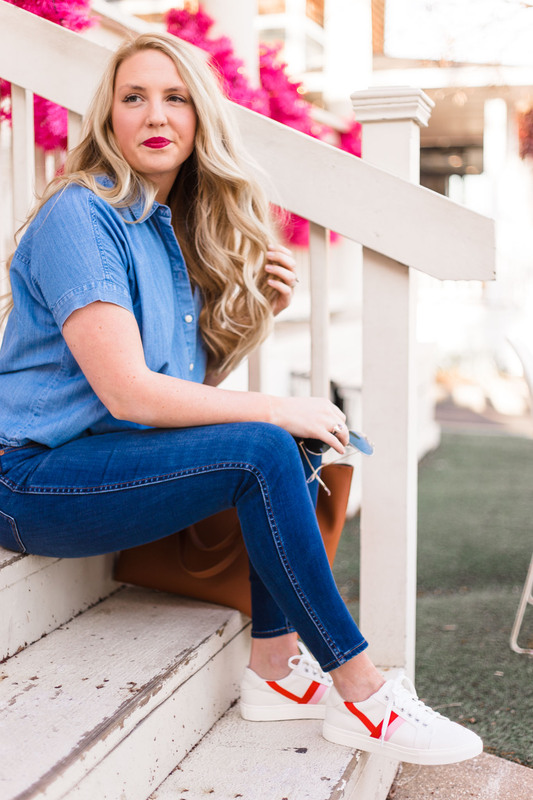 Avoid loose fitting denim: We know that it is never flattering to pair baggy on baggy, and this is no exception when it comes to denim on denim! Make sure that either your jeans or top is a fitted shape!